Your Mother’s Grandmother Fought For The Right! Your Ancestors Fought And Died For The Right! Some people find it hard to retire, because they have no identity, no life outside their world of work. Remember the song “I am not my hair” by India Arie? Well, I am not my profession and/or job. I have a life outside of academia. Don’t get me wrong, I love teaching, it is in my DNA–literally. I come from a family of educators. I can go back as far as my great-aunt on my mother’s side, she was an educator, both my parents, countless aunts, uncles and cousins were also very good educators. Saying this I learned a valuable lesson from them–there is life outside your career and beyond. There should be friends, activities, hobbies, and even passions that have nothing to do with your chosen career field. Successful people even change their appearance when they leave their job–they let their hair down or put it up. Even Mrs. Westlake, the dreaded math teacher on the Cosby Show changed her appearance when not at her job. You should live for life, not for your job. Remember “thisisyourbestyear”. I’ve heard there is much more life in retirement albeit a different life You are not your job. You Never Know ……. Be Prepared. I always tell my students “you never know who you might run into–always be prepared”. 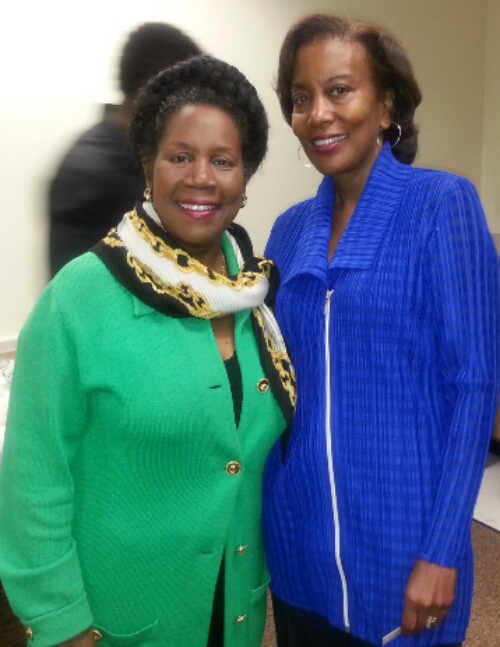 Today I ran into Congresswoman Sheila Jackson Lee. She is a strong woman of a certain age. Remember “thisisyourbestyear”. You never know who you might run into. Let’s be truthful, as women of a certain age we know that there is no magic fountain of youth, no magic potion or elixir. Even knowing this we still want to know how to take care of ourselves to the best of our ability. We want to be the best we can be at any age. In fact we really want to be better. 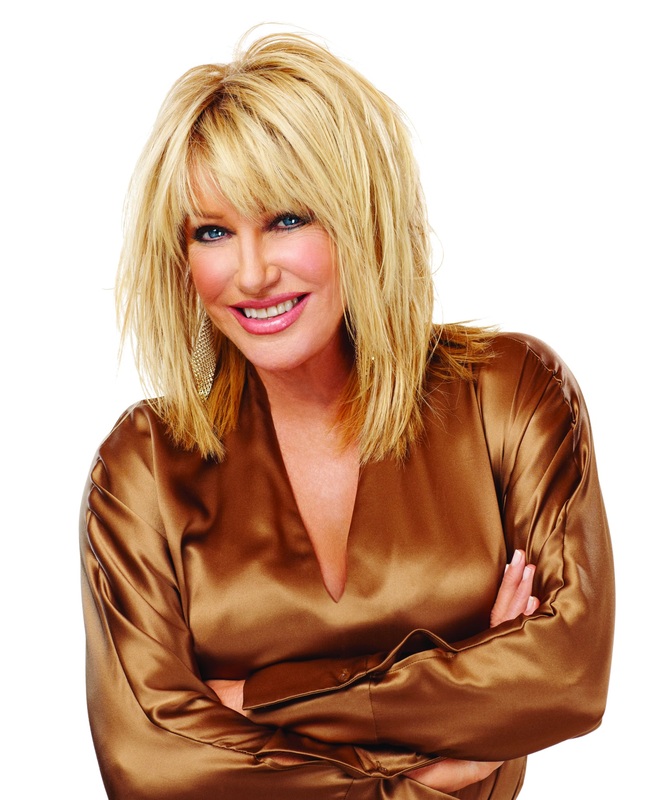 On Tuesday, November 11 at the beautiful Bass Performance Hall in downtown Fort Worth, Texas, Executive Medicine of Texas will present “Stay Young at the Bass: An Evening With Suzanne Somers”. Ms. Somers is an acclaimed actress, businesswoman, singer and author. We’ve all seen Ms. Somers since her days on the iconic television show “Three’s Company”, and her revolutionary exercise apparatus, the Thigh Master. Over the years Ms. Somers has done research on bio-identical hormone replacement therapy. She is the National Spokesperson for the Forever Health Network. Her goal in coming to Fort Worth is to help spread the message of preventative and proactive health. She will share the stage with nationally syndicated radio show hosts Dr. Mark Anderson, Dr. Walter Gaman and health and wellness expert Judy Gaman. Local favorite, Suzie Humphreys will bring her down home humor to the night. The evening promises to be a night filled with fun, prizes, a silent auction and a lot of education on how to live a better and healthier life. You can purchase tickets at http://www.stayyoungatthebass.com. The proceeds from the silent auction will benefit the Wounded Warrior Project. The doors will open at 5:30 pm. Aging is inevitable, it’s our approach that will determine “how” we age. Remember “thisisyourbestyear”. Ms. O came to town, and Houston made a believer out of her that Texas does everything bigger and better. The Toyota Center of Houston came alive with what seemed to be a sea of women of all ages. There were mothers and daughters with grandmothers in attendance too. There were those on a girlfriends get-a-way, celebrities, co-workers, and even some who came alone. There were husbands and boyfriends who were having a good time also. Even her BFF Gayle came along for the ride. Oprah held church, and it was really good church. Oprah was the senior pastor in charge of the service. She brought along several assistant ministers including, Deepak Chopra who lead the attendees in “The Life You Want Meditation”. Elizabeth Gilbert, the author of “Eat, Pray, Love” talked about “The Quest” in your life. Pastor Rob Bell, yes he is a real pastor continued the program with his presentation entitled “Everything is Spiritual”, and then Ms. Iyanla Vanzant concluded with her words of wisdom entitled “Here’s to Life”. In between presenters, we danced with DJ Kiss, we exercised to Soul 15 with Angela Davis. Hey Oprah even became an educator as we opened workbooks and did assignments. This was a hands on event. Oprah joined Amy Purdy, “Dancing With the Stars” finalist on stage to award Toyota’s “Standing O-Vation” award which recognizes extraordinary people in communities. I did not find not one person who did not enjoy the weekend. I did, however see one man being pulled along by his wife at lunch that seemed a little miffed. As it ended, I thought of what I know for sure. I know “thisis(my)yourbestyear”. Here’s to Life! 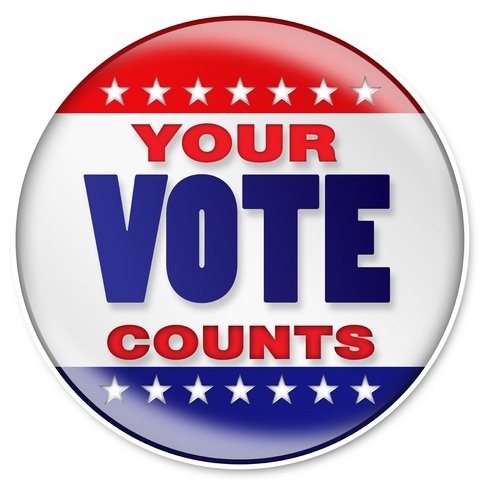 This post is written by guest blogger Ms. Carol Cooper–Enjoy! I n case you’ve never been or you aren’t fortunate enough to have one in your city, Central Market is an extraordinary grocery store. It has just about everything you could possibly desire when grocery shopping INCLUDING a Cooking School. 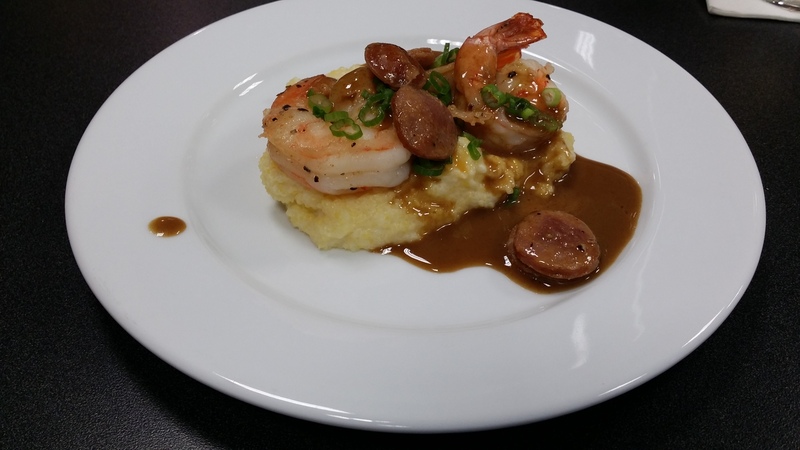 The Fort Worth Cooking School always has something deliciously going on each and every month. 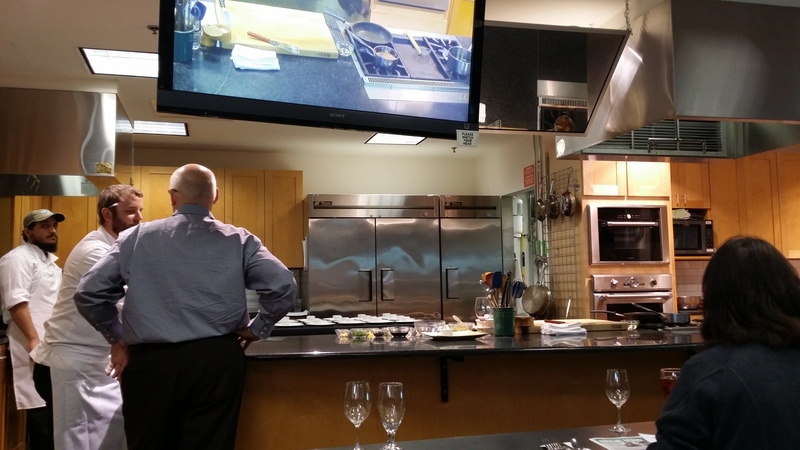 Cooking Classes are scheduled with chefs from Texas and throughout the country. If you are a true foodie you can’t help but LOVE these classes. Not only do you get to eat delicious, fabulous food but you also pick up some helpful tips on improving your own culinary skills. 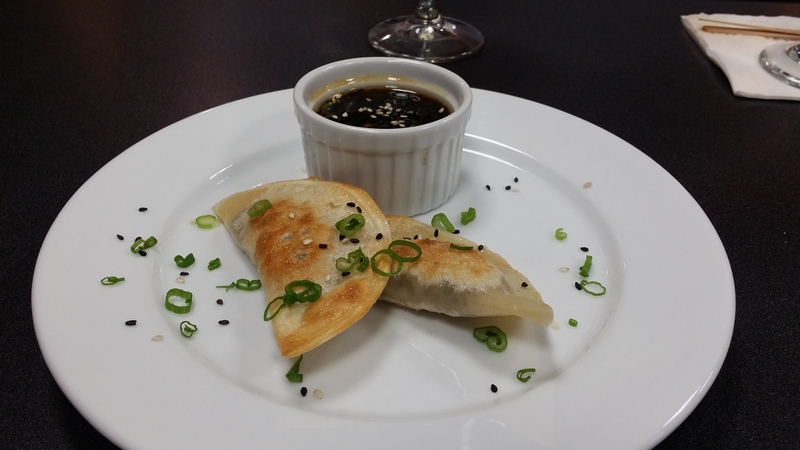 These classes are perfect for girlfriends get-togethers, date nights or you can go alone and eat something wonderful and learn how to make it. It’s an enjoyable 2 to 2 1/2 hours with extraordinary food and its preparation as the main focus. 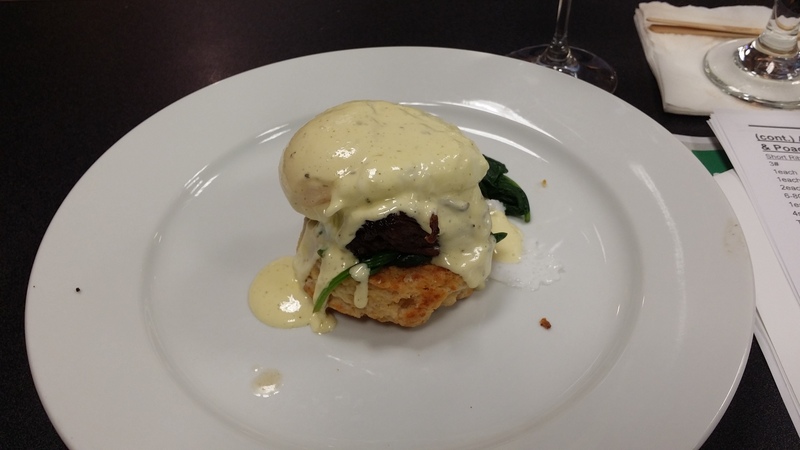 Recently I attended the class that featured Fort Worth Top Chef Blaine Staniford of Little Red Wasp and GRACE Restaurant fame. There was of course, delicious food, good conversation and just an all-around enjoyable evening. Chef Staniford was insightful, entertaining and passionate about his craft. Oh, did I mention the food. Trust me when I tell you no one left the Central Market Cooking School hungry. The cost of the classes vary. For full class descriptions, registration information and to make reservations, visit www.centralmarket.com. Bon Appetit, and remember “thisisyourbestyear”. Here’s the menu of what we sampled: Braised Brisket Pot stickers w/Citrus Dipping Sauce; Shrimp & Grits w/Andouille Sausage & Creole Butter; Aged Cheddar Biscuits w/Braised Short Rib, Spinach & Poached Eggs; Hollandaise made in a Blender and for dessert–Butterscotch Pudding w/Salted Caramel Gelato, Dulce de Leche & Almond Crumble. Dentist, businesswoman, humorist, loving mom and grandmother, best-selling author and Fort Worth native, Dr. Moe Anderson will come home to Fort Worth to share her newest book as she begins her book signing tour. As a woman of a certain age, Dr. Moe Anderson has written a book for “every” woman who wants to achieve more fulfilling relationships in all aspects of her life. 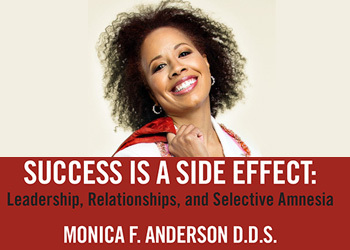 Her book Success Is A Side Effect: Leadership, Relationships and Selective Amnesia is a conversation for women on how to find their happiness and boost their own self-worth. Dr. Moe Anderson has put out her shingle and is awaiting patients. You can meet the doctor for a personal consultation on Saturday, October 25 from 4 to 6 pm at Marie Antoinette Parfumerie and Spa located at 101 W. 2nd St. in Fort Worth, TX 76102. Dr. Moe Anderson knows “thisis(her)yourbestyear”, and so should you. 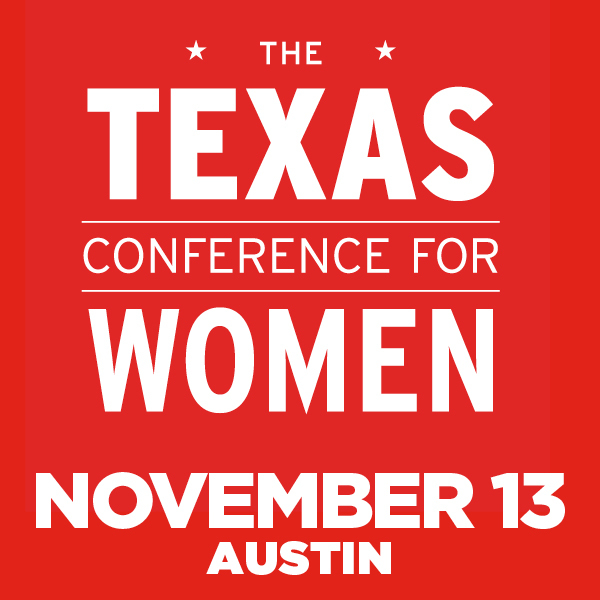 Ms. O comes to Texas–Houston to be exact on October 17 and October 18. She will bring her latest self-help tour to the Toyota Center. 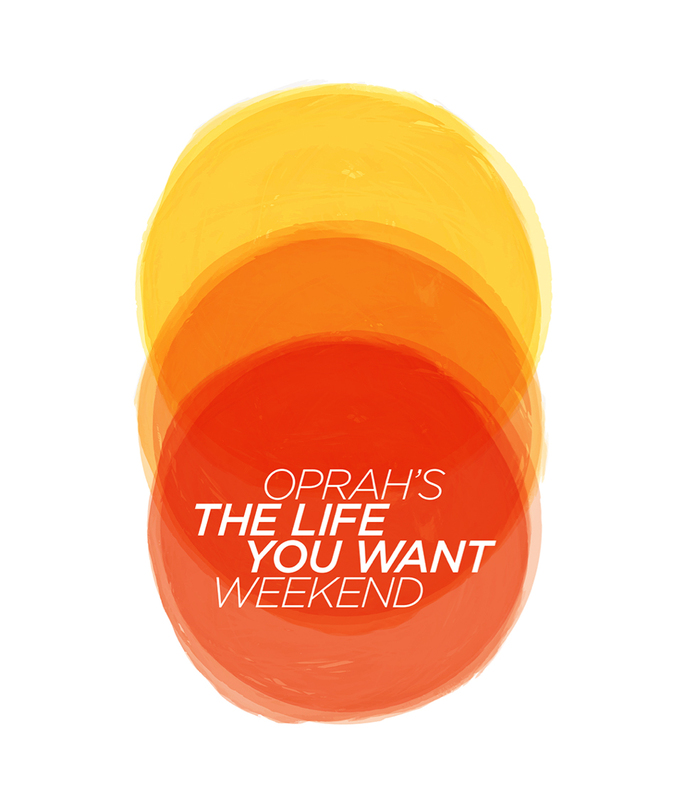 “The Life You Want Weekend” is a two-day seminar that is designed to give you the keys that are needed to live up to what you consider to be your true potential in both your personal and professional life. Along with Ms. O, there will be some of her favorite self-help people. Even best friend Gayle may make an appearance. 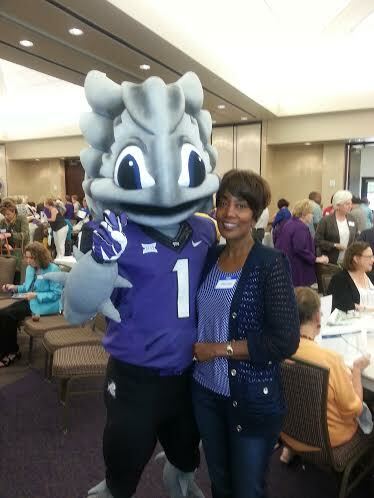 Texas Christian University recently held its kick off for its newest program–TCU Silver Frogs. This program is available to anyone who is age 50 and above. The only other requirements are that you must have a love of learning and love of community. There are no educational background requirements. 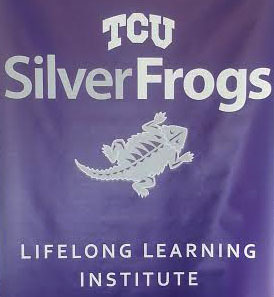 The Silver Frogs differs from traditional continuing education programs in that it is a membership based organization. A one-time semester fee of $130 for individuals or $117 per person (couples). This covers up to three classes, special events and even covers three luncheon lectures. There are many other benefits. Some courses and events may involve additional fees. For more information you can go to their website at www.lifelong.tcu.edu or call them at 817.257.7132.